How to Calculate Cost for Bandwidth? Bandwidth is the next term in web hosting to which one have to be getting acquainted with. It means within a given period of time the amount of data moves across the network wire. Generally the time period is for one month. The backbone providers and wholesale data center charge from web hosters monthly or annually according to the allocated amount of bandwidth to them. Similarly the cost is beared by the consumers in the face of web host plan. Amount of bandwidth used by ones' website. It's hard to calculate the bandwidth used by the web sites due to the presence of variation among different web hosting companies. In case of average web page-if the size of images and all is 50 Kb then web site can be viewed 20,000 times which for a foreign average hobby website that is just more than enough. If just one visitor visits average 4 pages per month it means that website is having 5,000 unique visitors every month. Taking care of bandwidth usage while downloading. Working on simple web pages will use less bandwidth but big amount of bandwidth is used for downloading files and same as in case of downloading music files, pdf files, flash files or video files. A website can serve only up to one thousands downloads if it is offering an adobe .pdf file having size of 1 megabyte and bandwidth of one gigabyte. However this does not includes the html required to download the pdf files. The video files consume more space as only seconds of videos can be represented by 1 megabyte of video file. A video file of just half hour presentation will consume over 200 megabyte whereas in that size one gigabyte would only allow 5 downloads to its visitors. The monthly bandwidth requirement will depend upon the purpose of website. Overselling bandwidth, a common feature in web hosting industry In web hosting industry over selling bandwidth is quite common due to the fact that most of the people tends to under utilize their allotted bandwidth monthly. Keeping that fact in mind most web host providers plan their price accordingly. Generally the companies will get shut down if they utilize the maximum bandwidth allotted to them monthly. User's website will get hosted with thousands of other websites if he opted for shared hosting account. The providers start interfering in your web site if they get to know that your website starts consuming big amount of their resourse. 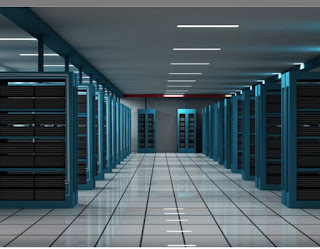 Customers should go for a dedicated server so as to get the maximum resources for their website. Planning leads to know about the requirement. Customer can have a complete idea of the bandwidth management Software required if he knows how to manage his hosting accounts. After proper planning dedicated server should be chosen so as if consumer is planning to serve lots of multi media including video, music and large amount of flash powered pages then no problem emerges afterwards. If a user don't have the complete idea of amount of bandwidth required by the website and is having less amount of money then he should search for an economic company who can guide him properly. Consumer should be careful about the charges for the bandwidth used in the package he is getting. A big amount of bill will be waiting at the month's end if the usage, which was earlier one dollar per mega byte, now has exceeded 20-gigabyte bandwidth limit. Thus one must keep the cost factor in mind while deciding for bandwidth.